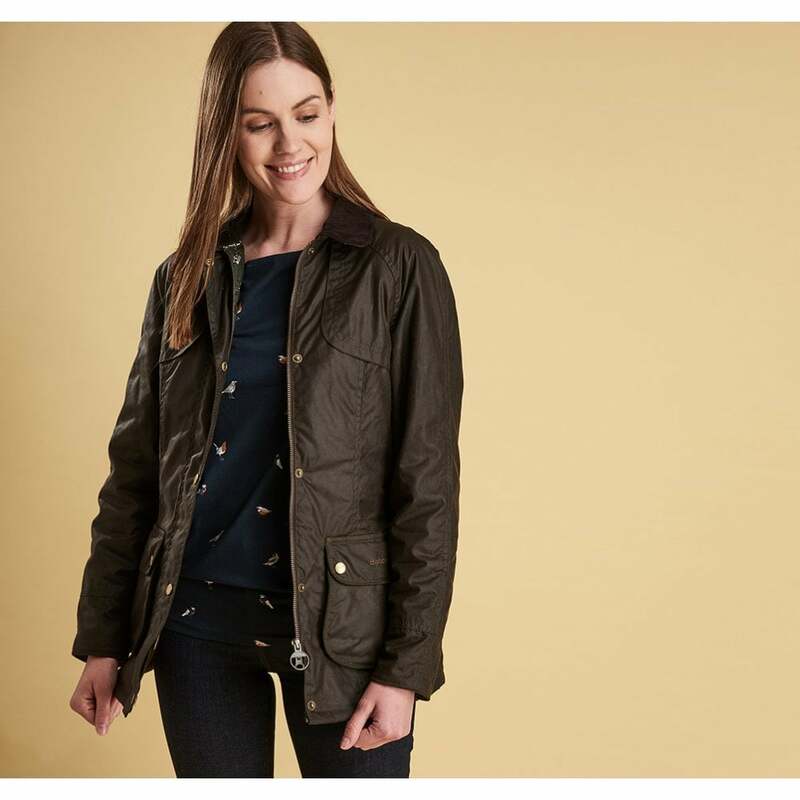 This premium wax jacket it the perfect wardrobe addition for our stylish Barbour lovers. With a cord collar, throat strap and adjustable waist belt this beautiful wax jacket is the perfect way create a flattering silhouette this season. A berry lining, bird stud and studded bellow pockets give this jacket a luxurious finish. Team this with your favourite slim fit jeans or over a Barbour winter dress. Material: 100% Waxed Cotton Outer.